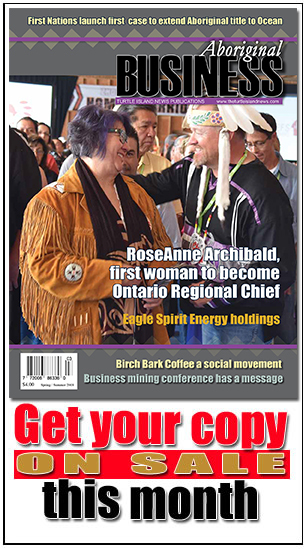 Aboriginal Business Magazine is Canada’s leading business magazine showcasing some of the best and brightest aboriginal entrepreneurs in the country, connecting them with aboriginal and non-aboriginal entrepreneurs. There has been a shift in the way we do business in Canada with industry now reaching out to First Nations. Aboriginal Business Magazine showcases innovative business practices, histories and strategies employed by entrepreneurs, the engine that keeps Canada running! Focused on the growth and excellence in Canada, the mandate of Aboriginal Business Magazine is to provide insight into the most pressing business issues. ABM reaches out to experts in every sector from industry to health care to land rights, treaty issues, manufacturing, supply chain management and professionals in their field, ABM reaches over 80,000 readers and now has expanded into our digital edition with daily business and industry news and updates! 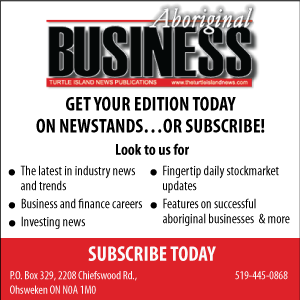 Aboriginal Business Magazine online is another in a series of publications presented by Turtle Island News Publications and multi-media, interactive publishers now two decades old. We welcome our newest online edition that we hope you will enjoy and subscribe to. Use our downloadable subscription form here.